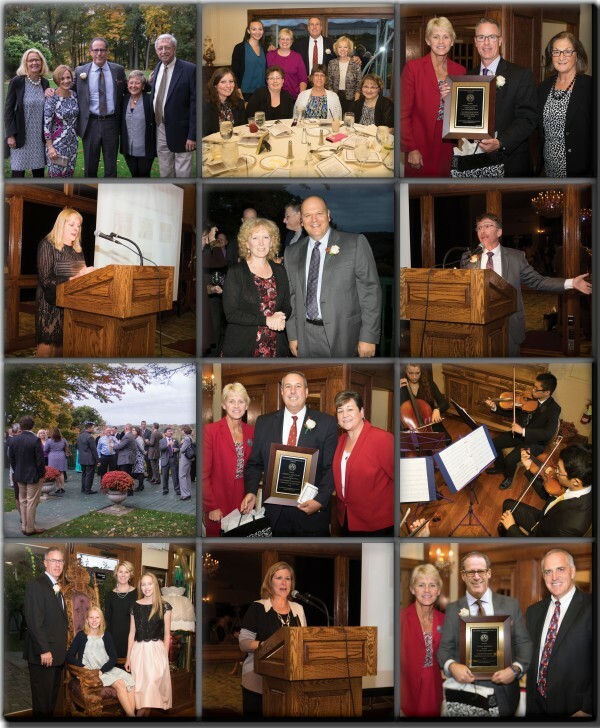 On Thursday, October 20, 2016, CAS hosted its fifteenth annual celebration of educational leadership at Saint Clements Castle in Portland. The event was conceived sixteen years ago following a resolution by the CAS Board of Directors to find ways to recognize and pay tribute to individual school leaders as well as to promote the profession of school administration. More than one hundred eighty educators, friends, and family members packed the Waterford Ballroom at Saint Clements to join in honoring CAS’ 2016 Distinguished Administrators. Guests were greeted at the door with the stirring sounds of the Glastonbury High School Resident String Quartet featuring Sofia DiNatale, Patrick Ding, Leonard Tang and Bryan Zhao. Paul Newton, principal of Edgar H. Parkman Elementary School in Enfield and chair of the committee which organized the event, warmly welcomed guests and praised the accomplishments of the five honorees. “In the midst of declining resources, accountability pressures and the myriad demands of your profession, you continue to bring innovation, inspiration and dignity to the work of educating our children,” said Paul. Dr. Sarah Barzee, Connecticut’s chief talent officer, delivered heartfelt and inspiring remarks on behalf of the state department of education. She congratulated the honorees and commended their successes in an ever-changing and ever-challenging role. CAS President Dr. Rosie Vojtek, principal of Bristol’s Ivy Drive School, extended warm and spirited congratulations on behalf of CAS and its members. Dr. Vojtek spoke of the importance of recognizing our state’s administrators for the differences they are making in their school communities. “Our CAS mission includes helping others and ourselves see and celebrate the high quality, outstanding, and successful work school leaders do across Connecticut,” stated Dr. Vojtek. Read her energetic and uplifting remarks in their entirety. Following the welcoming speeches, each of the five distinguished administrators was entertained with a short slideshow containing pictures and quotes from friends and colleagues. All honorees received a plaque, a book and, thanks to the generosity of Jostens, a custom-designed ring to commemorate their achievement. Many thanks to the members of the organizing committee – Paul Newton, Donna Schilke and Tracy Youngberg – and to our official photographer, Grynn & Barrett Studios.